Kevin Henderson is a fiddle player from Shetland, an island with one of the richest fiddling traditions in the world. Kevin was born and raised in Lerwick, the main town in Shetland and was introduced to the fiddle through his grandfather's love of the instrument. Kevin began playing the fiddle at the age of nine. After a brief initial spell with highly renowned Shetland fiddler and tutor, Trevor Hunter, Kevin was given the opportunity to take lessons in school with master fiddler, Willie Hunter, arguably Shetland's finest ever fiddler. Through Willie’s inspiration and encouragement, Kevin’s playing went from strength to strength and when aged eleven took the title of Shetland's Young Fiddler of the Year in the intermediate section of the competition. When aged fourteen, Kevin helped form Shetland group Fiddlers’ Bid who have gone on to be one of Shetland's most successful groups. With Fiddlers’ Bid, Kevin has toured extensively throughout the UK, Ireland, Europe, Australia and the U.S. playing at world famous venues along the way, including the Sydney Opera House, the Melbourne Concert Hall as well as representing Scotland at the Epcot Centre in Disney World, Florida as part of the millennium celebrations and at the Smithsonian Folk Life Festival in Washington D.C. In addition to this Fiddlers’ Bid have played on numerous television and radio broadcasts worldwide and have recorded four albums to date. When Kevin was sixteen he unfortunately had to stop taking lessons with Willie Hunter as he had decided to leave school and begin an electrical apprenticeship. Lessons with him was something Kevin really missed as he described Willie as “one of the greatest and most inspiring people he knew”. At the age of nineteen Kevin was asked to join Shetland band Drop the Box with whom he was a member for four years. During this time they toured extensively throughout the UK, Europe and Canada and Kevin also recorded on the group's second album entitled “Honeytrap”. Kevin continued playing music part time but always had the itch to have a go at it professionally. 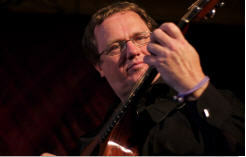 In November 2001, Kevin was asked by Boys of the Lough, one of the most successful and best known Celtic groups, to guest on their album, “Lonesome Blues and Dancing Shoes”. Following this album, he was asked to tour the USA with them in March 2002. It was then that Kevin decided to pursue a professional career in music. Kevin is now a fully established member of Boys of the Lough and has completed nine extensive tours of the US as well as touring throughout the UK, Ireland and Europe with the group. In addition to this he has made four broadcasts with the group on the world famous Garrison Keillor radio show, “A Prairie Home Companion” and has been involved in two television programmes featuring the group. As well as playing with Fiddlers’ Bid and Boys of the Lough, Kevin plays regularly with one of Scotland’s leading fiddle groups, Session A9, who were formed by Capercaille fiddler Charlie McKerron. Kevin has also appeared as a session musician on a number of recordings, including a sound track for a BBC Scotland documentary with the legendary Irish singer, Shane McGowan. 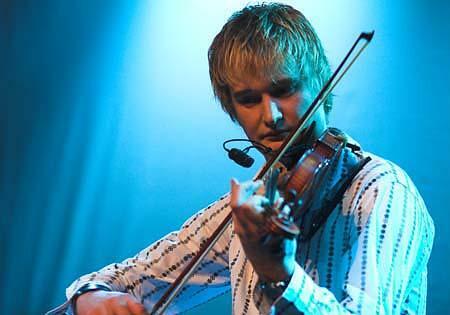 Kevin is also a member of two other nordic folk music groups, The Nordic Fiddlers Bloc and Aamos. Kevin has taught at various festivals and workshops and was asked to be on the judging panel for the semi-final of the BBC Scottish Young Musician of the Year competition for 2005. Kevin now resides in Kragerø, Norway with fellow musician and bandmate Annika Westgård. Olav has worked as a part-time freelance musician since 1979, mostly in Norwegian traditional folk music scene, but has also been active in classical, jazz and other music genres. From 1981 to 1995, Olav was a concert coordinator for the Norwegian concert agency Rikskonsertene, which included preschool, grade school, institutional and evening concert programs. From 1989 to 1991, Olav worked full time with local folk music groups in the Sogn og Fjordane region of Western Norway. His responsibilities included performances and music lessons throughout this region as well as working with touring musicians and cultural festivals inside and outside Norway. He has toured and performed in many festivals in Norway, Denmark, Sweden, Finland, the United Kingdom, France, Germany, Spain, Hungary, Gambia, Lebanon, and most recently in southern British Columbia during summer 2007. Many of his festival appearances with various acts have been broadcast on radio and television in these countries. From 2002-2010, Olav had worked as a music teacher at Fana Folkehøgskule, a Bergen boarding college where he was coordinator of the school’s folk music studies program, which includes studies in traditional Norwegian and international folk music. He has also been high school music teacher at Voss Gymnas, working with Grade 11-13 students, and is presently employed with the University of Bergen. Olav holds a Bachleor of Musicology degree from Århus Univeristy (Denmark, 1985), a certificate in instrumental studies at Det Jyske Musikkkonservatorium in Århus, Denmark from 1986-1988 (double bass major, jazz guitar minor), a degree in Instrumental and pedogoical studies at the Bergen Høgskolen as a music major (earlier known as the Bergen Conservatory) from 1993-1995, and a Masters degree in ethnomusicology from the University of Bergen (Norway, 2008). Annika has performed in three tour productions with musicians throughout the world and worked with Ethno, an international folk music camp for youth, both through Swedish talent agency Rikskonserter. She has an array of performance credits as a soloist and with other musicians. Henderson/Westgård Duo (Norwegian and Scottish folk music - fiddle, hardanger fiddle and vocals). Annika has been active as a music teacher giving private lessons in piano and hardanger fiddle, has choral experience as director of the Vang Girls Choir (Norway) and has worked as a music teacher at Fana Folkehøgskole in Bergen, Norway. She holds a Bachelor of Music Education degree from Hamar Teachers College in Hamar, Norway (2006) and holds a certificate from Fana Folkehøgskole (boarding college in Bergen, Norway) taking their folk music program, majoring in Norwegian and international folk music studies (2003). In preparation for her advanced education, she was a student in the Norwegian high school system as a Grade 13 student at Skien High School (Skien, Norway, 2001-2002 - music program) and from Grades 11-12 at Valle High School (Valle, Norway, 1999-2001, music program with a focus on folk music). She is presently teaching music to preschool students in Kragerø, Norway.